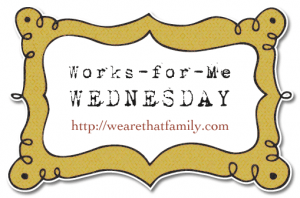 I’m a working mom. 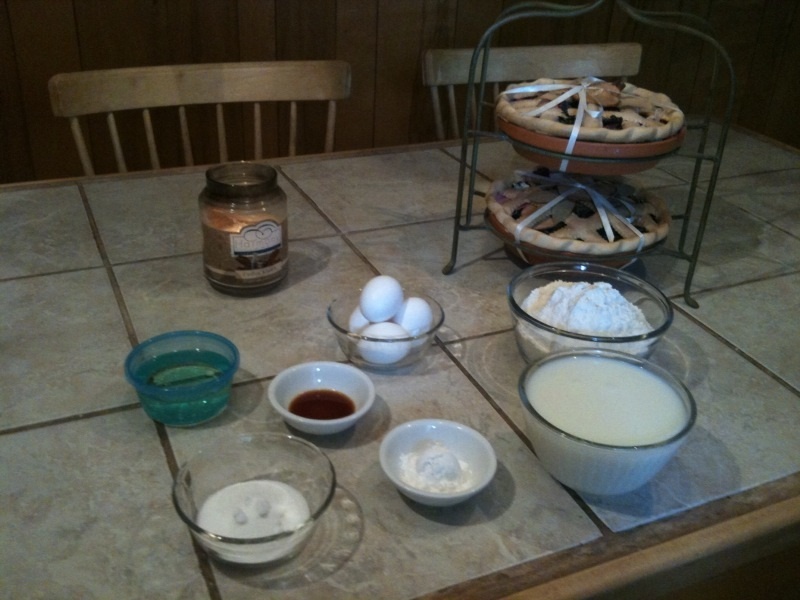 However, with just a little planning ahead, my girls can have homemade waffles for breakfast. And we have a great time making them together. 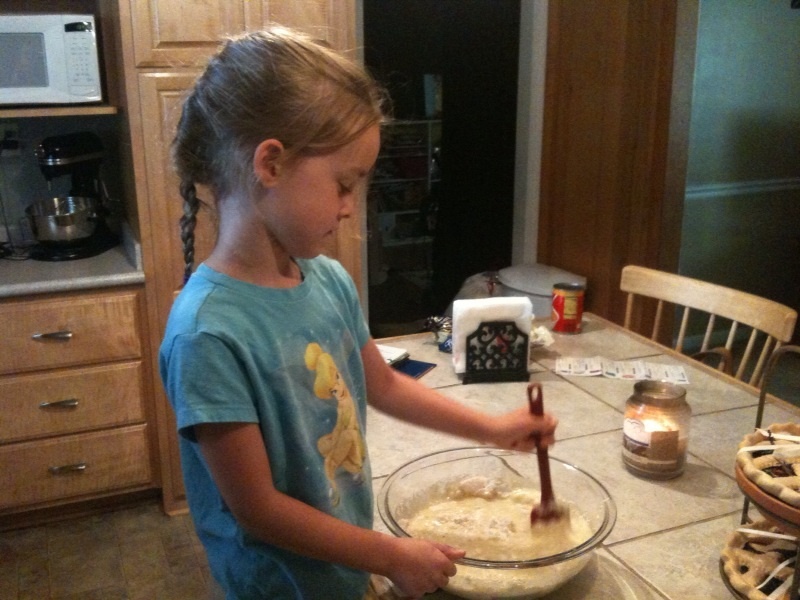 Combine dry ingredients and have lovely assistant mix well. 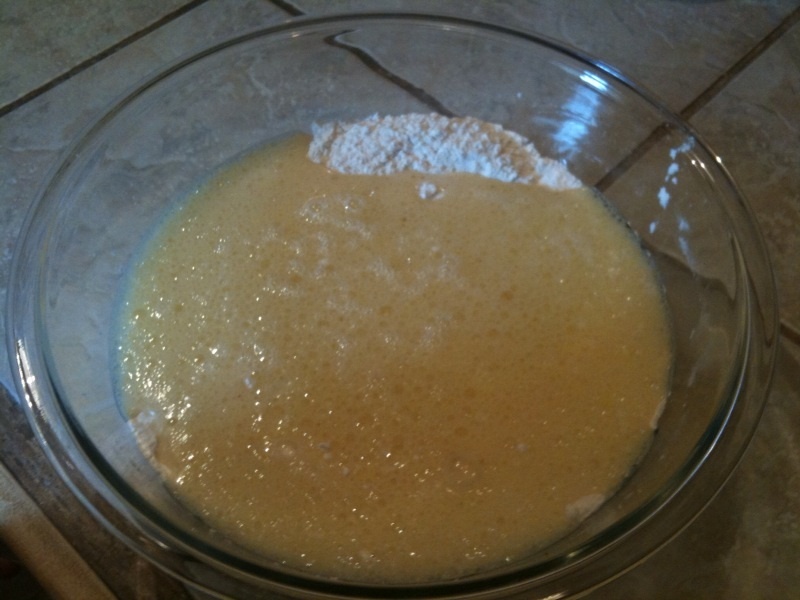 Create a well in the dry ingredients and add in the wet ingredients. Have lovely assistant mix well. 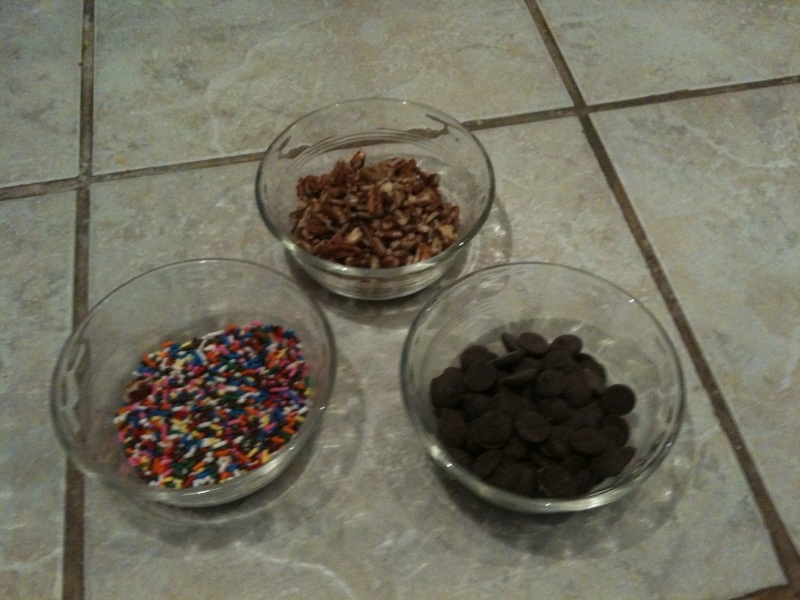 Choose mix-ins…we like pecans, chocolate chips and sprinkles. 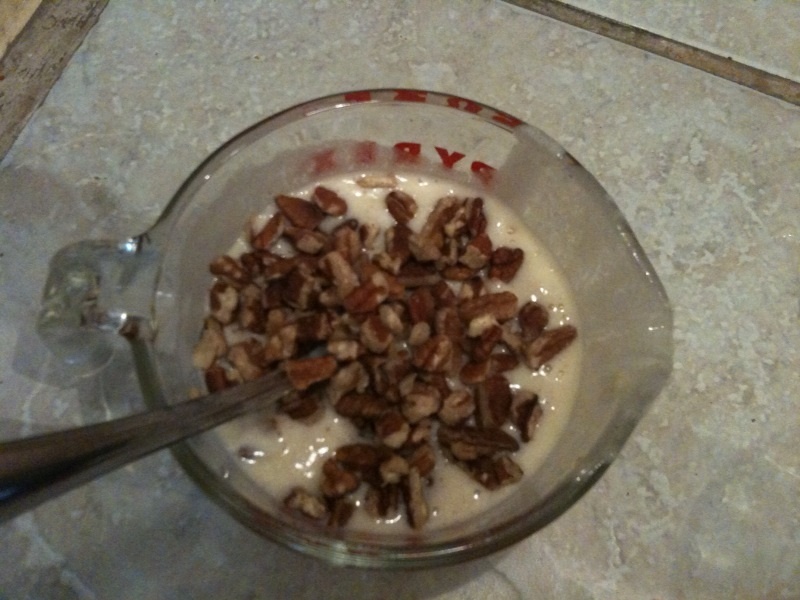 Take a small amount of batter and choose first mix-in. 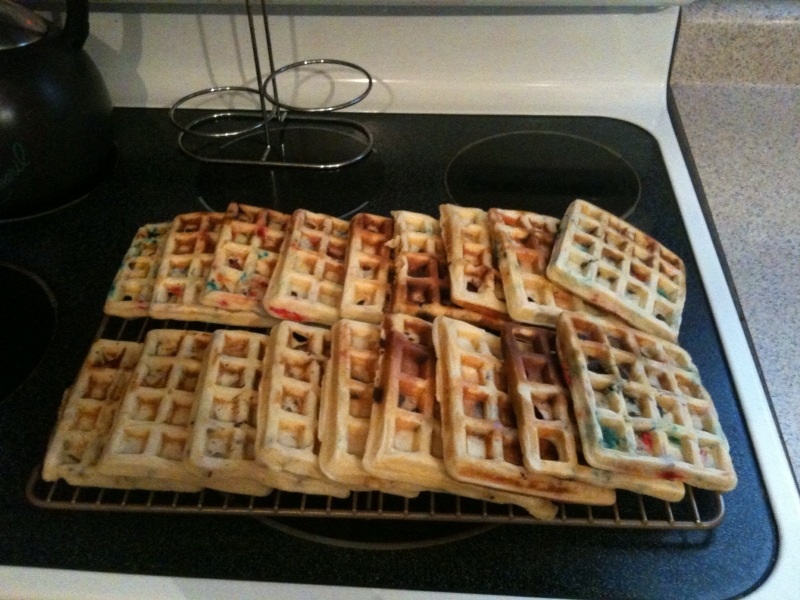 Let waffles cool on wire rack. 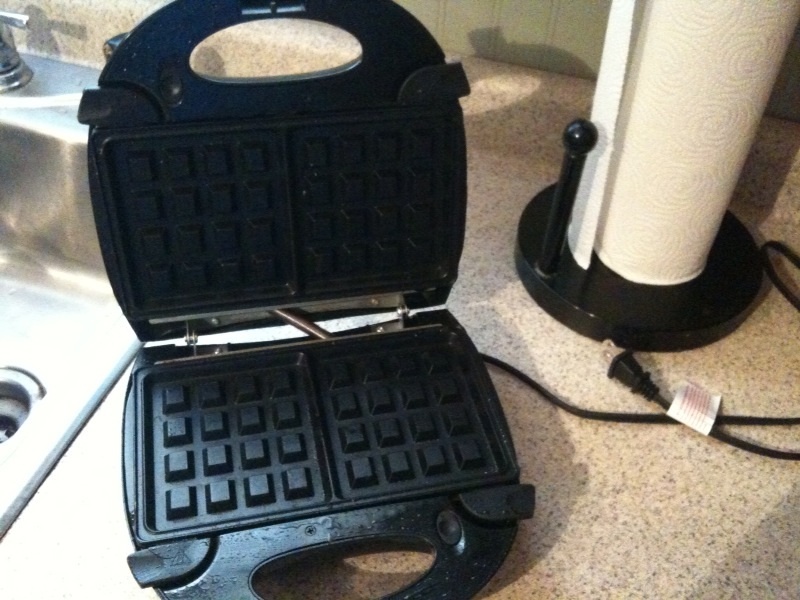 This recipe will make 20 waffles. 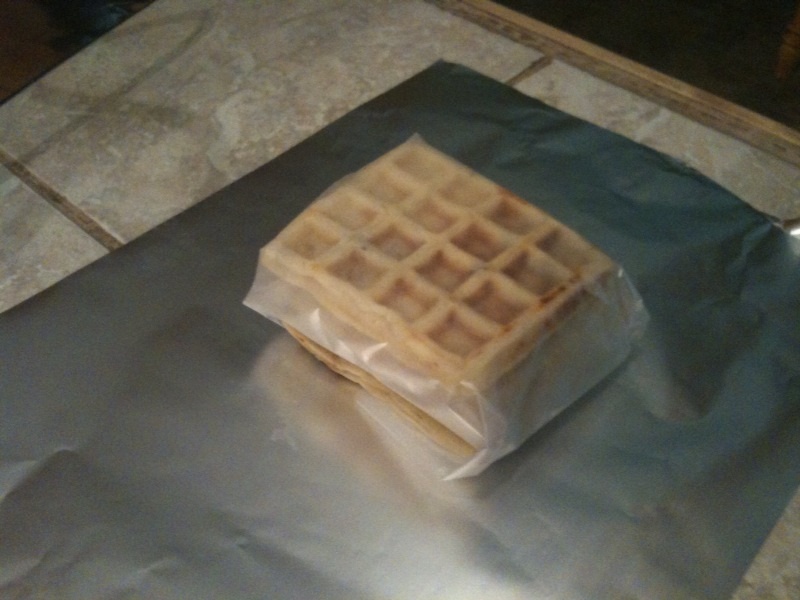 Be sure to put wax paper in between waffles so they do not freeze together. 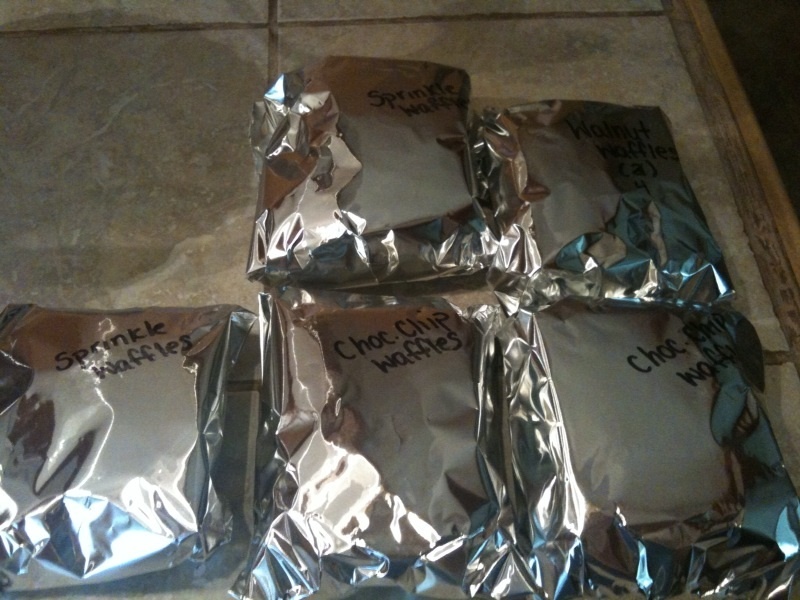 Wrap in foil and label. Voila! 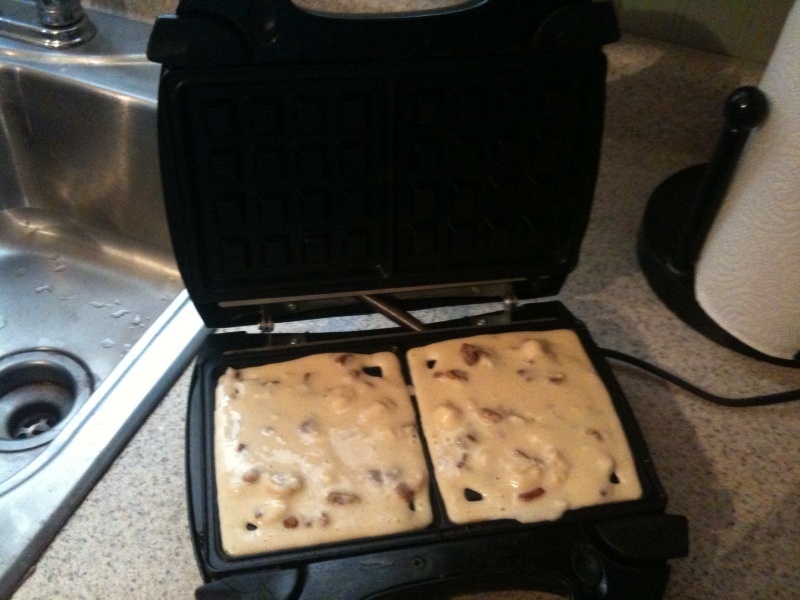 Made from scratch waffles on the busiest of mornings. That works for me. 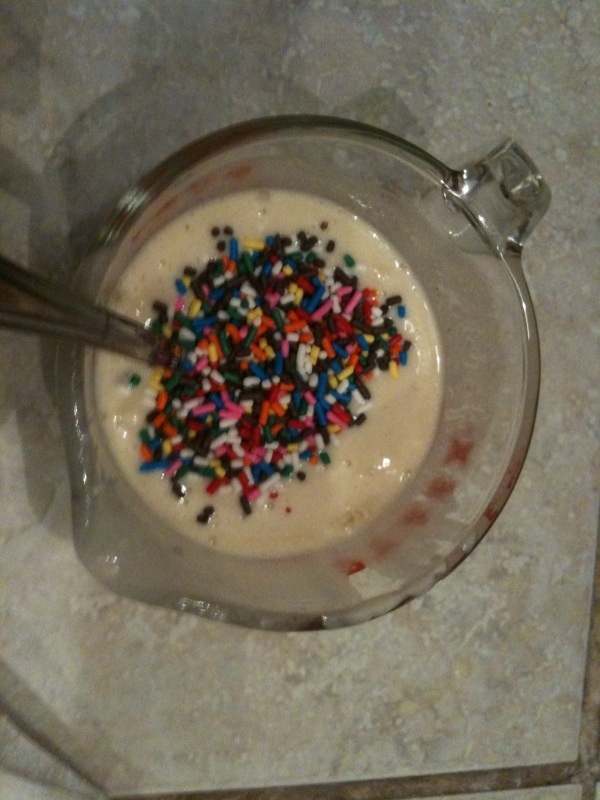 Love this – I can’t believe with 3 kids I haven’t thought of using sprinkles!! 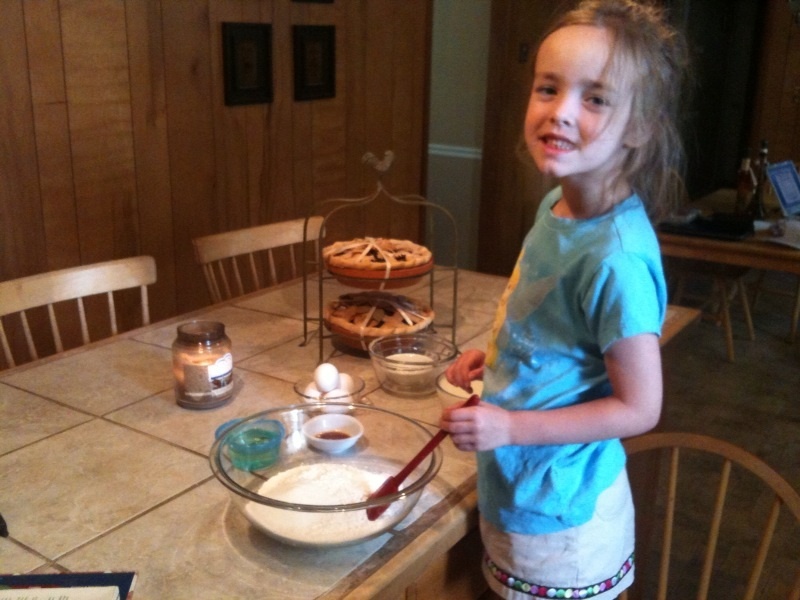 I do the same thing with pancakes. 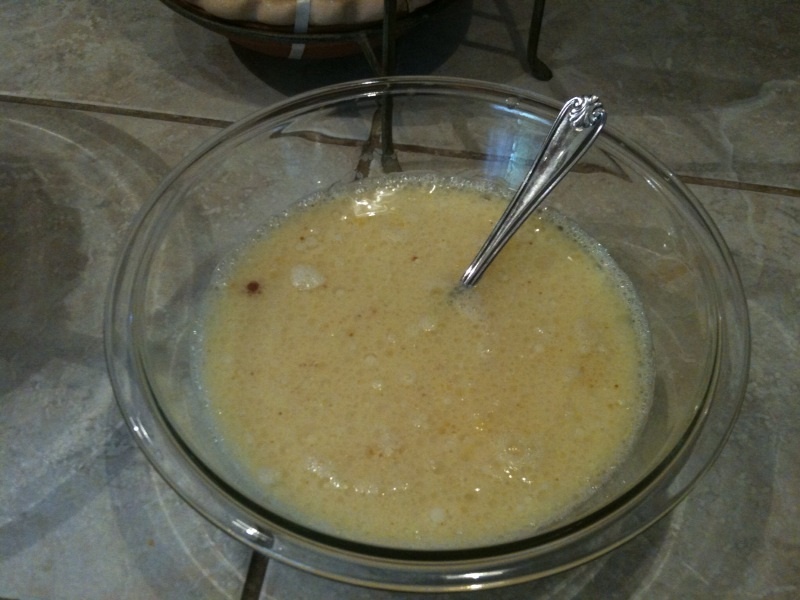 I have to make “special” (egg-free) pancakes, so I make a large batch and freeze them, so the kids can have pancakes whenever! 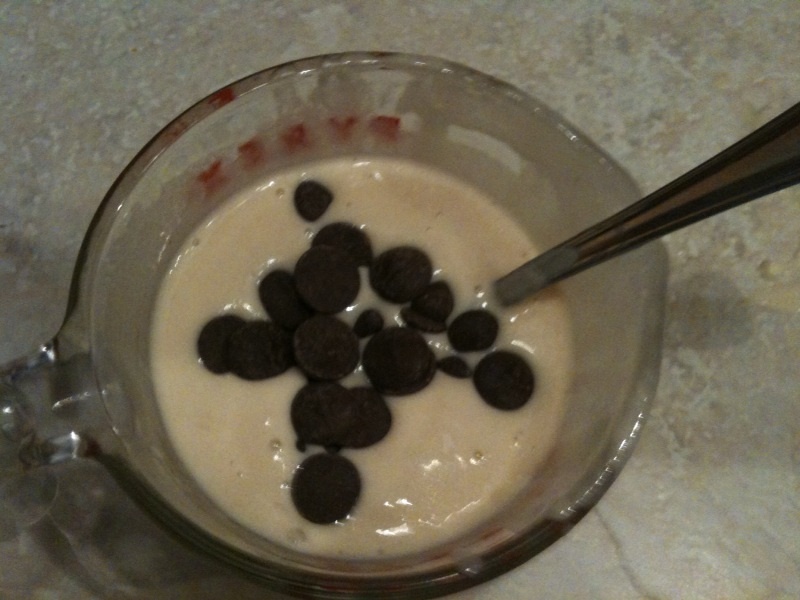 yum, gotta try these at our house.